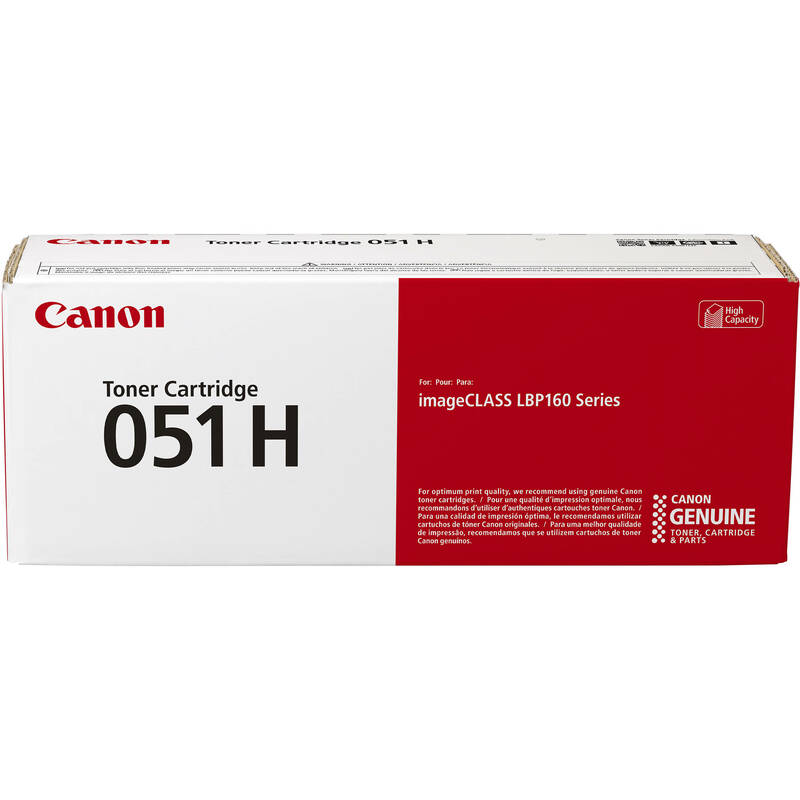 Compatible with imageCLASS LBP162dw, MF269dw, MF267dw, and MF264dw laser printers, the black 051 High Capacity Toner Cartridge from Canon yields approximately 4000 pages. 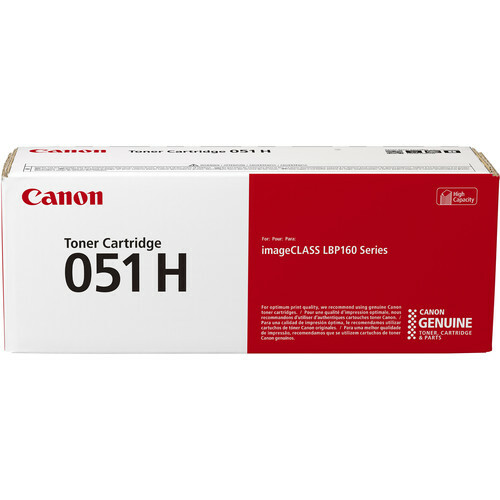 Designed for busy printing environments, high capacity toner cartridges mean less time replacing cartridges and more time fulfilling your printing needs. Box Dimensions (LxWxH) 14.1 x 5.3 x 4.2"